Sen. Elizabeth Warren's (D., Mass.) daughter runs a company that includes among its clientele the social media giant Facebook, one of the tech companies the 2020 candidate would like to break up. Amelia Warren Tyagi is president and co-founder of Business Talent Group, which assists companies in finding consultants and workplace talent. Facebook is listed on the company's homepage as a client, as well as Pfizer Pharmaceuticals, which came under her mother's ire last year for raising prescription drug prices. Sen. Warren has released a proposal to break up Facebook, Amazon, Google and other major tech companies to "promote more competition" and "restore the balance of power in our democracy." Earlier this month Facebook removed ads by Warren promoting her call for the breakup of the tech companies, initially stating they violated their terms by using Facebook's logo. After an uproar from her campaign, Facebook restored them to promote "robust debate." Her campaign fundraised off the public spat, telling supporters, "if you want proof of Elizabeth's point that Facebook has too much power, look no further than their ability to shut down a debate over … whether Facebook has too much power." Warren's plan includes getting legislation passed that would designate Facebook a "platform utility" required to "meet a standard of fair, reasonable, and nondiscriminatory dealing with users." 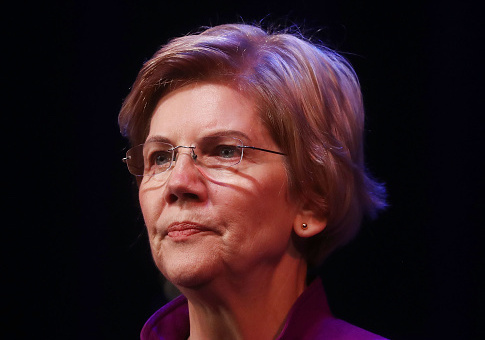 A Warren administration would also appoint regulators to stop what she deemed "illegal and anti-competitive tech mergers," like Facebook's purchases of Instagram and WhatsApp. Tyagi's biographical page on her company's site notes she co-authored the best-selling books The Two-Income Trap and All Your Worth, although it doesn't state she wrote them with her mother. She is Warren's only daughter and oldest of her two children, whom Warren had with her first husband, Jim Warren. They divorced in 1978. Warren married her current husband Bruce Mann in 1980 and retained her last name from her first marriage. The Massachusetts lawmaker is part of a wide field of 2020 Democratic candidates, and her campaign has been marked by numerous progressive policy proposals. In addition to her call for breaking up major tech companies, she's proposed an "ultra-millionaires tax" to fund initiatives such as universal child care. This entry was posted in Politics and tagged 2020 Election, Elizabeth Warren, Facebook. Bookmark the permalink.